On Saturday December 2nd, 2017 at approximately 11:09 am, the St. James Parish Sheriff’s Office responded to a 911 call reporting a shooting that took place at Wag-A-Pac convenience store in Vacherie, LA. Upon arrival at the scene, deputies discovered a black male subject lying face down in the parking lot with multiple gunshot wounds. Acadian Ambulance was dispatched, but the subject died from his wounds at the scene. The victim is identified as Reynald Jackson (DOB 11-29-1970) who was currently residing in Vacherie, LA. 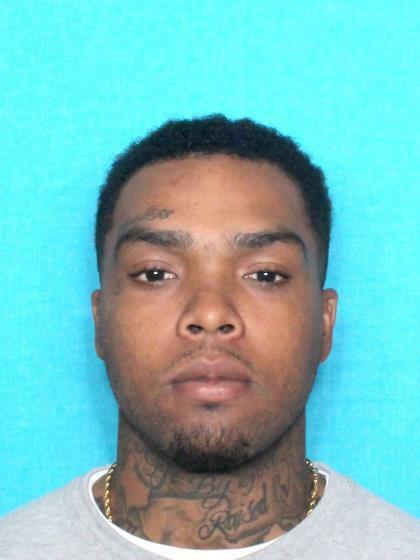 Detectives investigating the homicide learned that the person who shot Mr. Jackson was his stepson, Rojae Olando Jackson Dumas (DOB 03-03-1991; 13154 Willow Street, Vacherie, LA). At approximately 1:41pm on December 2nd, 2017, Rojae Dumas turned himself into the Sheriff’s Office at the West Bank Sub office. Mr. Dumas was driven to the Sub Office by family members who encouraged him to surrender to authorities. Detectives are continuing their investigation. Mr. Dumas has been charged with LA R. S. 14:30.1 Second Degree Murder and is currently incarcerated at the St. James Jail in Convent, LA awaiting bond to be set.